Snapchat is the 3rd most popular social app among millennials, even ahead of Twitter, according to this article on techcrunch.com. So it's no surprise that marketers are hopping on the Snapchat train to use its power to creatively reach their audience (see previous blog). "On many social media platforms, viewers scroll through content quickly. And even though those posts will be there forever, viewers will never see it again. Marketers are only grasping for 50% of users’ attention at a time, and those users never look back. Snapchat users can’t look back. However, marketers have 100% of their audience’s attention for the length of the content’s life," said Shaun, an artist and Snapchat celebrity on a Snapchat marketing podcast from socialmediaexaminer.com. Like other social sharing platforms, Snapchat is constantly updating its features in new and cool ways that have only helped solidify its staying power among young adults and teens. We've listed some tips and tricks on Snapchat to help you make the most of using and marketing with the app. As you well know, Snapchat is a photo and video-sharing app that limits your audience's viewing from 1-10 seconds long. You can share photos and videos privately, or you can create a "Story" which will be shared to all your Snapchat friends/audience. You can spice up your photos and videos with cool filters, time stamps, speed stamps, weather stamps, or a Geolocation stamp, depending on if you're in an area with one. If you find that you don't have access to filters and stamps on your Snapchat, then you may need to turn that feature on. Go to your Settings and click Manage, it will give you several features that you can enable for yourself--filters, replay options, and permission to access contacts, etc. 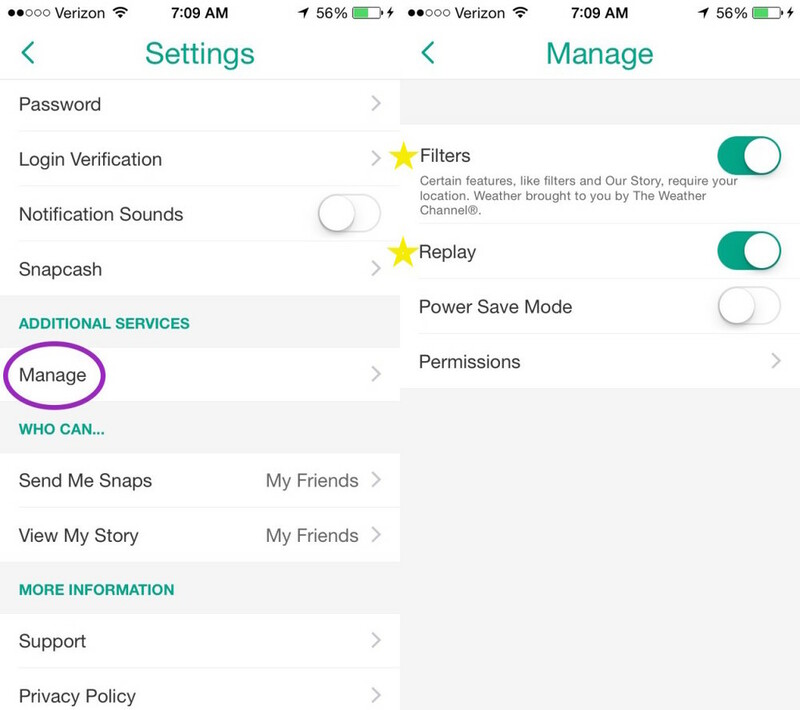 The replay option will allow your audience or Snapchat friends to replay your Snapchat one time, and only once. You are only allowed to reply 1 snap per day. In order to do this, just hold down the Snap you just watched and it will reload. Once you have turned the filters on, it's time to amp up your Snap game. Take a photo or video and swipe left or right to see the different filters and stamps. BONUS TIP: You can layer filters in order to use more than 1. Once you have picked filter #1, hold a finger on the screen and swipe left or right again to add another. 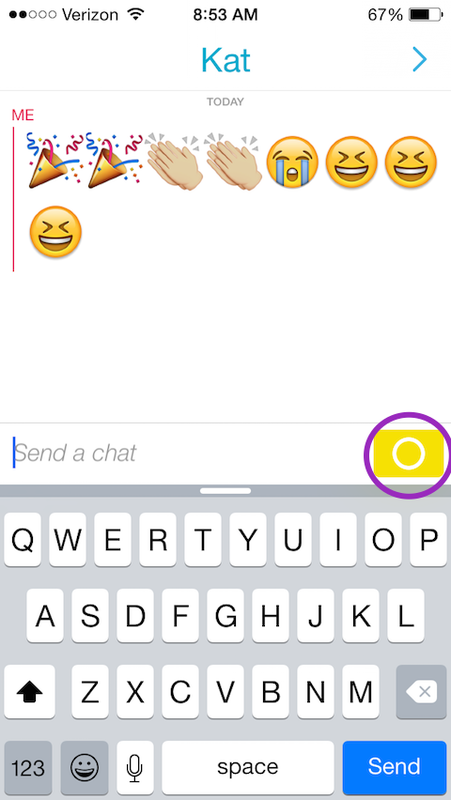 By clicking the "T" button at the top right of your intended Snapchat, you can add text or emojis. After adding text, click the "T" button again to make the text stand alone (outside of the text bar). You can then edit that stand alone text to make it larger or smaller and even change the text color. In order to make the text more fun with colors and sizes make sure that the text option is selected with the keyboard open. From there you can use 2 fingers to zoom in and out of the text to change the size and use the color bar to change the font color. Once you have selected the size and color of your text deselect the 'T" option and move your text around to place it wherever you want. The color bar, in the top right corner, will allow you to make beautiful art on your snapchat. BONUS TIP: You may notice that the color bar lacks two very important colors, black and white. To unlock these colors, just simply hold your finger down the color bar and swipe it all the way down the screen to get black and swipe it all the way to the left of the screen to get white. If you stop swiping halfway down the screen to black, you'll see a few shades of brown to work with, as well. Snapchat obviously allows you to send Snaps privately to individual people, as opposed to sharing your Snap story with everyone. However, Snapchat has added new features since its beginning, which promotes messaging your friends using the app. You can swipe right on a friend's name to privately message them or even send them photos from your camera roll. You can't share photos from your camera roll on Snapchat using its Story feature though, you can only privately message it to someone. If you would like to live chat with a friend, just swipe right like you're going to message them, both of you hold down the yellow button at the same time and it will open up a live chat screen. Snapchat is one of the only apps that allow this awesome feature; open your music app to play a song and then open Snapchat and record a video. Snapchat will add the song to the video. Cool, right? As far as your Snapchat stories go, they are shared for your entire friends list to view (unless you customize this under Settings), but of course not everyone is going to see it or watch it all the way through. Click on your story and it will lay out all the snaps you shared to story with how many views on each snap. If you click on an individual snap from your story, click on the arrow at the bottom of the screen and swipe up to view specific people who've watched your snap. Speaking of watching Snapchats, whether it's someone's snap story or someone sent you a snap individually, you have the option to screenshot the snap (if you have an iPhone). Of course, if you screenshot someone's snapchat it will notify them and you will be labeled as a screenshotter and may never be trusted again. One of Snapchat's newer features is its addition of emojis by your friends' names. Not sure if this will be a lasting feature, as the feedback has been 50/50 on whether people like it or even care about its existence altogether. If you do care to learn more about the meanings behind the emoji additions you can find a helpful guide, here. Have you used Snapchat for marketing? 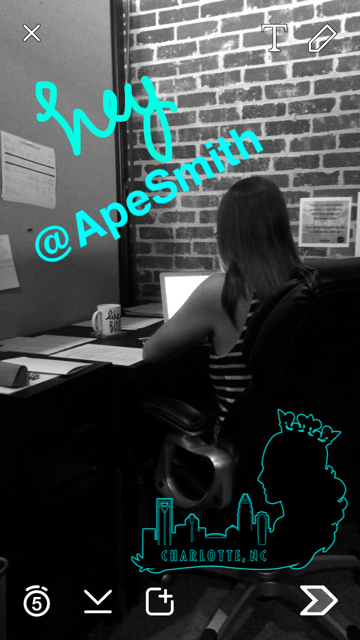 If so, tweet us @socialapemktg and let us know how it's going! We love to hear feedback!